A parliamentary vote to remove abortion from Queensland’s Criminal Code and treat it as a health issue could happen on October 16. A public forum on abortion decriminalisation held at James Cook University in Cairns attracted more than 80 people on July 13. The night before, a public forum also took place in Brisbane organised by Young Queenslanders for the Right to Choose, attracting about 150 people. The JCU meeting was organised by Pro Choice Cairns to inform the discussion around the Abortion Law Reform (Women's Right to Choose) Amendment Bill 2016 which was tabled in parliament on May 10 by Cairns MP Rob Pyne. In the same way that women had to organise and struggle to win the vote, equal pay and access to higher education, women have also had to fight for their reproductive rights, including access to contraception and access to safe medical and surgical abortion. The impact of pregnancy and childbirth on a woman is so great that no matter what other political, social or economic rights women have, if they do not have control over whether or when to have children, it is meaningless to speak about women controlling their own lives. The Queensland government moved a motion on May 26 that the Health, Communities, Disability Services and Domestic and Family Violence Prevention Committee is to report back to state parliament on the Abortion Law Reform (Woman's Right to Choose) Amendment Bill 2016 by August 26. The outcome of a trial against a Cairns couple for procuring an abortion has turned the tables on the Department of Public Prosecutions and the Queensland government. For many, the real crime is the fact that the anti-abortion laws from 1899 have not been repealed. Green Left Weekly’s Angela Walker spoke to Carole Ford, a founding member of Pro Choice Cairns, about the upcoming trial of a young Cairns couple. 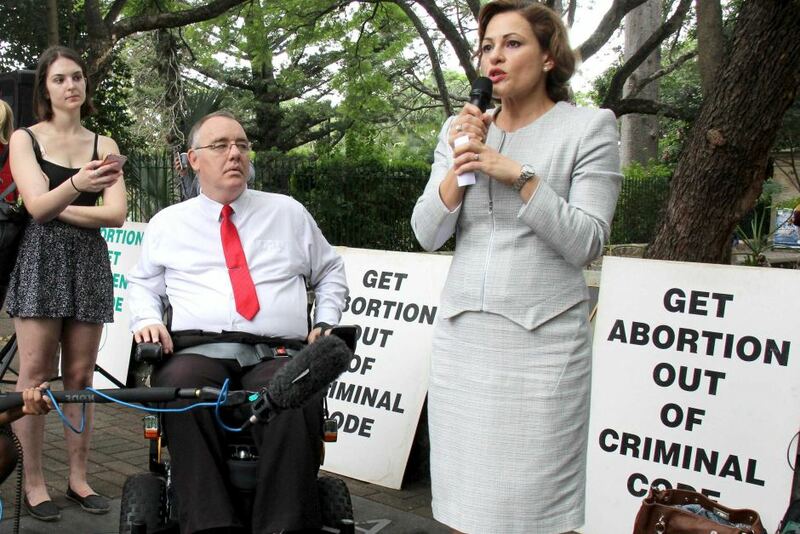 The couple have been charged under Queensland’s 19th century abortion-procurement laws. How has the Cairns community responded to this case? With overwhelming disbelief. I'm sure when most Queenslanders first heard of the charges, they felt as if they had regressed in time. The approaching October 12 trial of a young Cairns couple on abortion-related criminal charges shows the need for repeal of the anti-abortion laws. In response, the campaign to decriminalise abortion is gaining strength. A July 9 book launch with author Caroline de Costa attracted 90 people. Jo Wainer, a long-time campaigner for abortion rights, was a special guest speaker at the event. October 12 is the trial date set for a young Cairns couple charged with procuring an abortion. According to Dr Caroline de Costa in a book released this month, Never Ever Again …Why Australian Abortion Law Needs Reform, no woman has previously been charged with procuring her own abortion since the 1899 criminal code was first decreed in Queensland. De Costa believes this could be the first trial of its kind in Australia’s history.